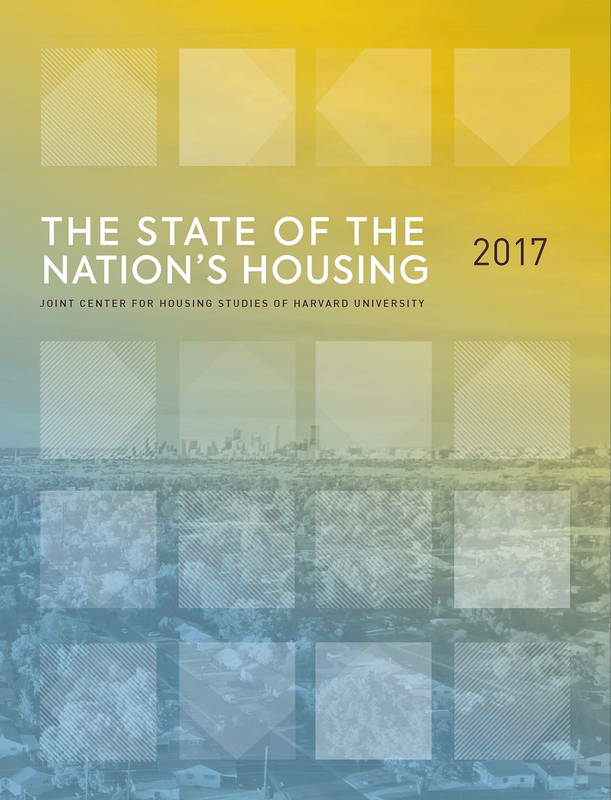 June 16, 2017 - Today, the Harvard Joint Center for Housing Studies released its State of the Nation’s Housing 2017 report. NAHRO is proud to be a sponsor of this vital annual publication, a must-read for affordable housing and community development practitioners. As the report shows, despite some gains, the housing affordability crunch remains a nation-wide issue. As demand increases, the modest rate of new construction has kept the rental and homeowner markets tight. New residential construction in 2016 is below the 1.4-1.5 million unit rate averaged in the 1980s and 1990s. The study demonstrates that low- and moderate-income families are disproportionately affected. While nearly half of all renters were cost-burdened in 2015, 83 percent of renters with incomes under $15,000 and 77 percent of those with incomes between $15,000 and $29,000 were cost-burdened. Younger and older households also bear a significant portion of the burden. In 2015, nearly 25 million children and one-third of older adults lived in cost-burdened households. In total, 11.1 million renter households were severely cost burdened in 2015. The report also documents threats to the already-strained affordable housing supply, including the loss of private units to upgrading and rent increases, Section 8 landlords opting out, the proposed cuts to the Low Income Housing Tax Credit (LIHTC) program and the expiry of affordability restrictions on over half a million LIHTC units over the next 10 years.